My kiddos (even the boys) always liked to play pretend with kitchen sets. They loved to serve me with their plastic food from the play area of the cafe we go to, and would love to watch me finish them up! 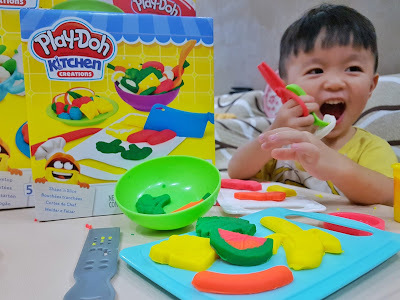 So when the the delivery man turned up with not one, but two sets of PLAY-DOH Kitchen Creations sets the other day, they went crazy! Thanks Hasbro for the love! I don't know about you but I know my kiddos love to cut things up using scissors at times, and that's not exactly safe for them. 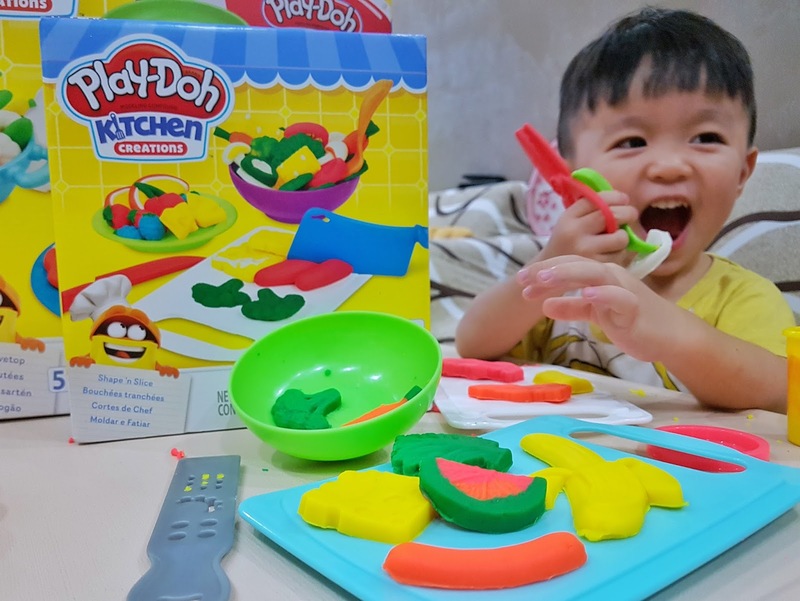 This set solves their craving for slicing things up for sure! 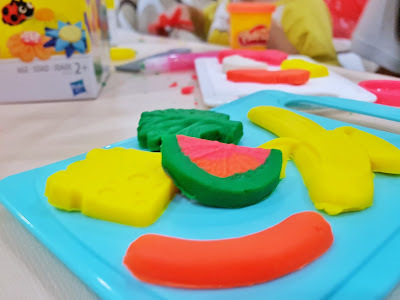 Trying to get the perfect shape out of those moulds really tests their motor skills but using that knife on those veggies really got them going! The OCD in me is killing me though, as the colors get mixed up in no time the way the kiddos play. But like they always say, just let them be, and let them exercise their creativities! Not that the sizzling sound is required, but if your kiddos like that extra bit of realism, do get some AA batteries for the stove! 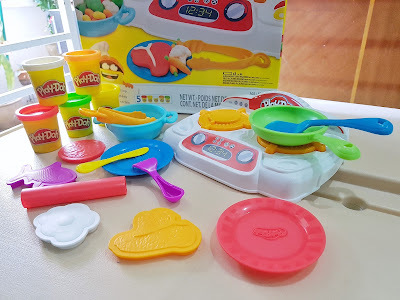 Other than that, it free play for the kiddos again as they stamp out the different food shapes! 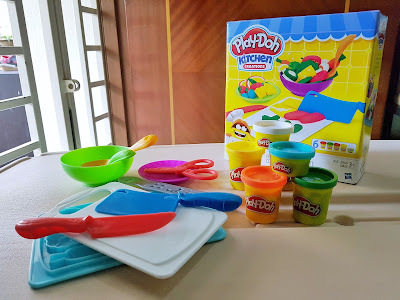 Awesome fun for the kiddos but it will be a little difficult for all 4 of mine to share the doh as the tubs are pretty small. Be sure to get some extra color packs so that they can make lots more stuff using those moulds! For children between 03 - 10 years of age, happening every hour! Announcement of result at 5pm! Stand to win a $150 PLAY-DOH Hamper simply by taking a photo of your kiddo's creation and posting it on either Facebook or Instagram with the hashtags #PlayDohChefJunior and #PlayDohKitchenCreations.